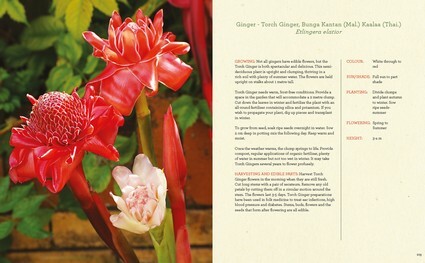 A Delicious Bunch is a unique book in that it includes flowers suited to growing in ALL our Australian climatic zones, including cool temperate and sub-tropical to tropical. A selection such as this is just not seen in any of the other books on edible flowers that typically cover English roses, primulas etc. It is written with gardeners and cooks of all abilities in mind. It is a lavish feast for the eyes and an inspiration for greenthumbs to grow organically and harvest for impressive results. It has a handy reference chart for flowering seasons for each flower. 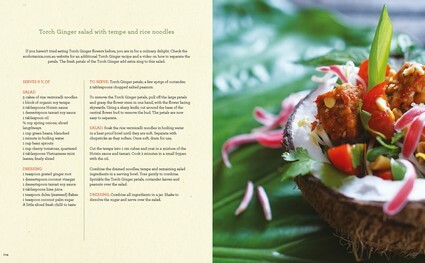 The recipes are easy enough that a modestly experienced cook could give them a go. All recipes are vegetarian and many are dairy and gluten free. A Delicious Bunch is a delight for the eyes and stomach. The photography is 'stunning' says the designer. 'The book is magnificent', says the manager of the Sydney Botanic Gardens Bookshop. Cooking with edible flowers is a new interest of mine. 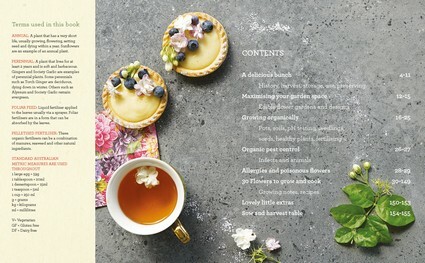 This book deals with edible flowers that are grown in Australia and bloom in line with Aussie seasons.